BERLIN - State and local fire officials are working to determine the cause of an early morning fire on Tuesday that destroyed a Sun Meadow Drive home. The three occupants of the house at 54 Sun Meadow Drive, two adults and a child, escaped without injury. They were brought to an area hospital for evaluation as a precaution, officials said. 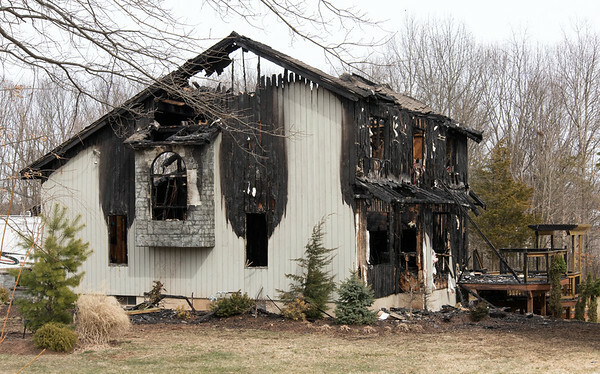 The single-family home on a quiet side street in East Berlin was engulfed in flames when firefighters arrived around 1:40 a.m.
After the initial call, Berlin dispatchers received several 911 calls about the fire, which burned through the roof, causing it to collapse, Thomas Farr, chief of the East Berlin Volunteer Fire Company, said. “When I arrived a few minutes later, the house was fully involved,” Farr said. About 50 firefighters from all four town companies battled the flames for about an hour before they got the fire under control. 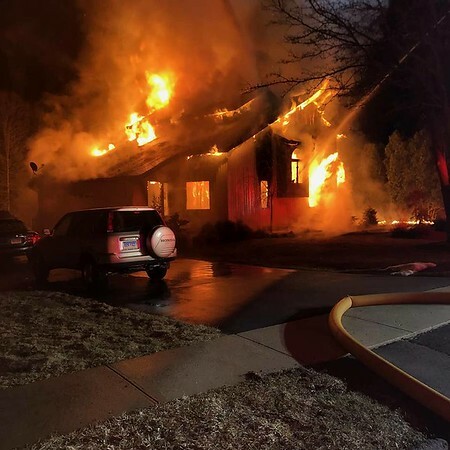 Farr called for a “task force” response, bringing in firefighters from Cromwell, Newington, Wethersfield and Rocky Hill to man town stations while local crews fought the fire. Firefighters initially attacked the flames from the outside and the roof, since the family was safe outside, firefighters said. Nearby residents reported brown water coming out of their taps due to the use of the fire hydrants in the area. Firefighters spent a considerable amount of time inside the burned structure, putting out hot spots after the blaze was brought under control, Farr said. Investigators from the state and town Fire Marshal’s Offices were at the scene much of Tuesday morning, looking for clues on the origin of the fire. The American Red Cross was notified that the family has been displaced. The house appears to be a total loss, Farr said. Posted in New Britain Herald, Berlin on Tuesday, 27 March 2018 21:57. Updated: Tuesday, 27 March 2018 22:00.